Volkswagen vehicles are known for offering innovative technology features, a spacious interior, and a powerful engine that makes driving down the streets in Brandon more enjoyable. While these features are great, many drivers want a stable fuel economy. What are the 2019 Volkswagen Passat MPG ratings? At Reeves Volkswagen we have all the details needed to help with the search for your next new Volkswagen Passat. Let’s take a look at the Volkswagen Passat MPG ratings! The Wolfsburg trim has an interior that offers comfort and convenience. Whereas the SE R-Line is redefining things with its quality features, spacious interior, and innovative technology to stay connected while on the road. While each trim offers different, yet exciting interior and technology features that stand out, they both have the same powerhouse performance drivers expect with a Volkswagen. With the 6-speed automatic transmission, you can go from 0 to 60 and back down smoothly. Want a little more oomph with your ride? The optional Sport mode provides a more active feel when advancing through the gears. The optional sport paddle shifters allow for quicker movement around town. The paddle shifters are located on the steering wheel by your ring finger and allow for a sharp shift without taking your hands off the steering wheel. No matter which 2019 Passat trim you choose, you’ll spend more time on the roads and less at the gas pumps in Wesley Chapel, because both models have an EPA-estimated 25 mpg city / 36 mpg highway* fuel economy. Want to make your new Passat feel like it matches your style? Purchase Volkswagen Passat accessories will fo that! The performance will surely impress your passengers, but with the right accessories, so can the interior. Visit the parts department at Reeves Volkswagen in Tampa and browse our massive inventory or parts and accessories. We want to help make the 2019 Volkswagen Passat your dream car inside and out. The 2019 Volkswagen MPG ratings are impressive, and the performance is powerful. It’s no wonder drivers are excited to drive the newest Passat down the roads in Brandon are exciting drivers in the Clearwater area. 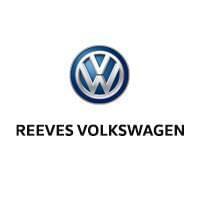 Visit Reeves Volkswagen and see why! Contact us today with questions about the new Passat, or to schedule a test drive. You can browse our vehicle specials, get an estimate, and apply for financing right at home. We look forward to helping make your car buying experience a positive one! Compare the Passat vs Toyota Camry or even the Volkswagen Jetta to learn more. *25 city/36 highway mpg (2019 Passat 2.0L, 6-speed automatic transmission). EPA estimates. Your mileage will vary and depends on several factors, including your driving habits and vehicle condition. 0 comment(s) so far on What is the 2019 Volkswagen Passat MPG?